Congratulations to our Client Eynack for their feature on The Talking Walnut. Enhance your spec appeal with a pair ofÂ Italian designed fashion reading glasses made with environmental bamboo from Eynack. 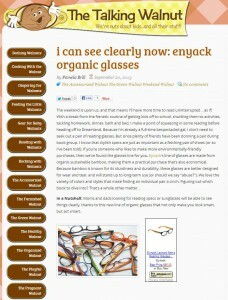 The idea for Eynack was developed when creator, Alex Brown, left his reading glasses at home during a trip to Milan. Inspired by the unique and excellent style of the Milanese, he purchased a pair of bamboo eyeglasses that he loved. What he didn’t love was their expensive price tag. Determined, Alex returned Â home to Washington DC, and utilized his 30 years of experience in the fashion industry and European inspiration to launch a collection of handmade, yet affordable, bamboo glasses. Dubbed Eye Candy for women and Eye Catcher for men, Eynack offers an array of frames, with colors and styles to fit every personality. 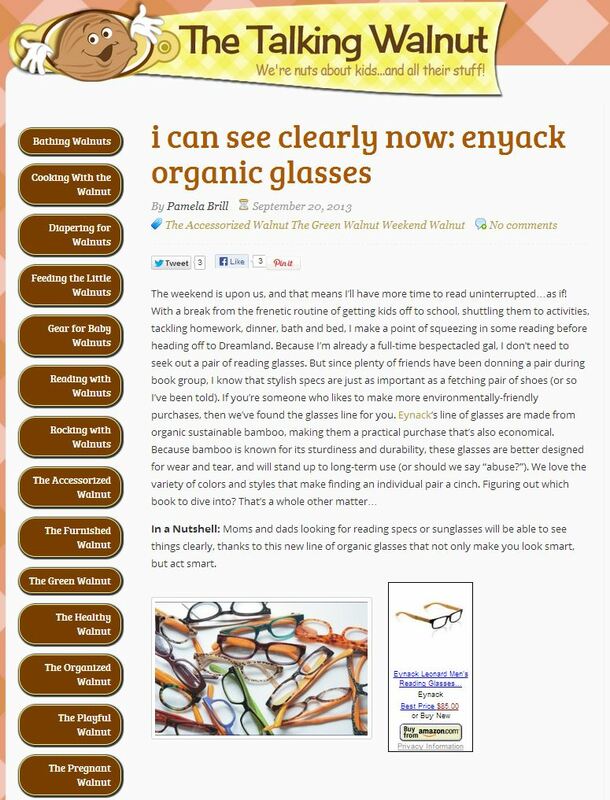 Check them out at Eynack.com.